Part of our mission at Too Qute is having a variety of fundraisers to help give back to our community, since we rely on our community in so many ways in raising a child with special needs. When Miss M was preschool age, I remember our elation when we found out that a donor was gifting her with an augmentative communication device - her first of a few! It was a jazzy Springboard Lite device. We were so thankful that someone had gifted Cincinnati Children's Hospital with the funds to buy this few thousand dollar device because of course communication devices for nonverbal individuals are excluded from health insurance (insert eye roll). At that time, we were in the middle of selling our previous home to move to the best school district we could find for Miss M in our area. Throughout the years, we have had other experiences where through the generosity of others, Miss M has benefited. It is because of this that it is important to our family to give back to our community when we can. When I opened Too Qute Boutique last year, it was VITAL for me to find ways in which to use my resources as a business owner to create fundraisers for worthwhile non-profit organizations. We have raised funds for the Down Syndrome Association of Greater Cincinnati, Challenger League (adaptive baseball), and now Mason Schools Foundation. Miss M is quite the fashionista, very particular about what she wears! 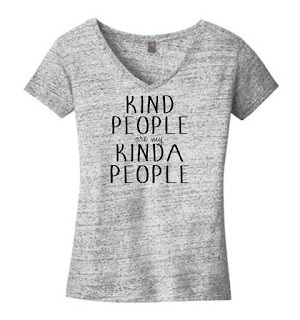 She had a shirt last year that she loved and its message was quite simple: Kind people are my kinda people. So, I decided to work with a local small business, OCD Unlimited, to have shirts with this message printed on them for our fundraiser for Mason Schools Foundation. 100% of the profits from sales of our shirts go to fund grants for use for students with special needs! 100%! (Your eyes aren't deceiving you...) It is with great pleasure that I conduct fundraisers, sending all the profit to help spread the love (hence the name of our program: Spread the Love Initiative). If you have an idea for an organization that would benefit from our program, please contact me as I would love to hear about it! In the meantime, be sure to visit Too Qute Boutique to grab your KIND shirt before the fundraiser ends (several styles/colors are online)! 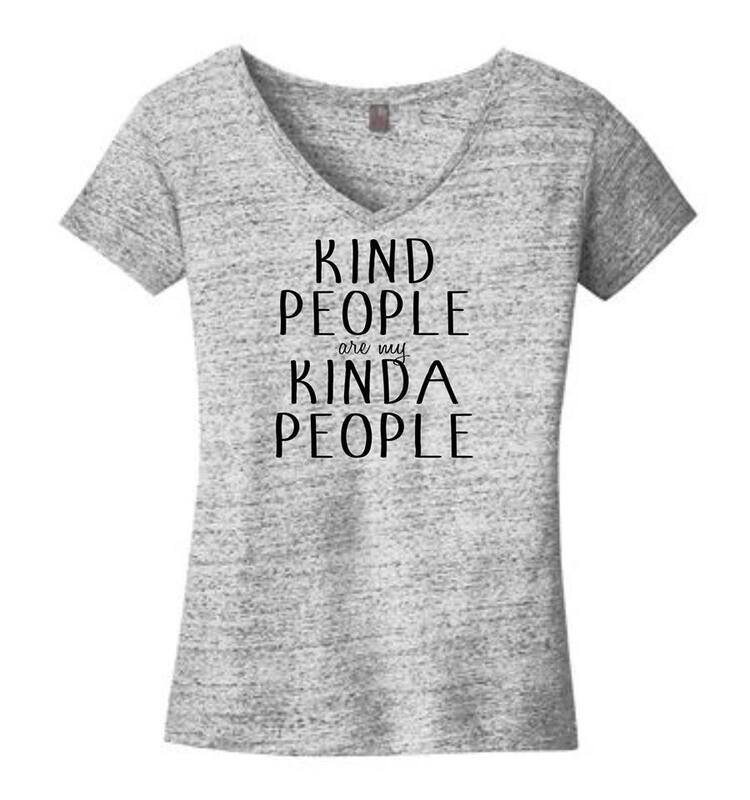 If you buy one, you're helping students with special needs AND spreading the message of kindness, which is something we need more of in today's social climate! If you get a shirt, be sure to send me a pic so I can post it on our Instagram and Facebook pages! Click on the links above or go to www.tooquteboutique.com, thanks!